Unstated: The setState of React State Management — Nader thinks Unstated is a compelling alternative to Redux and explains why. Proton Native: React Native Syntax, But For Desktop Apps — A work in progress, but it’s cross platform, works with existing React libraries (such as Redux), and uses the same syntax as React Native. Redux Rest Easy: A Library to Generate Redux Code — A library for React and React Native to perform network requests without the boilerplate. Includes a before and after example. How and Why to Bind a Callback Function in React Components — Why do we need to bind this and what’s the best way to bind a callback function in React components? Infinite Scroll Techniques In React — Two methods of implementing infinite scroll in React, one from the ground up, another via the use of an existing library. 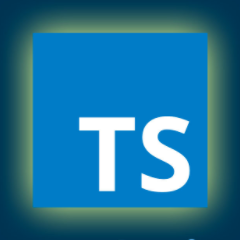 TypeScript 2.6's JSX Fragment Support — TypeScript 2.6 added support for JSX fragments within .tsx files. Front End Developer (React) — Join us, work remotely from North America, and help build software that matters. Our team is hiring. RMWC: React Material Web Components — A React wrapper for Google’s official Material Components for the Web.